JOOLA i430 Robots are snap & play! With the wired remote, players can set their own pace, without having to leave his or her side of the table! In addition, players can control the oscillation of the ball placement on the table and type of spin. 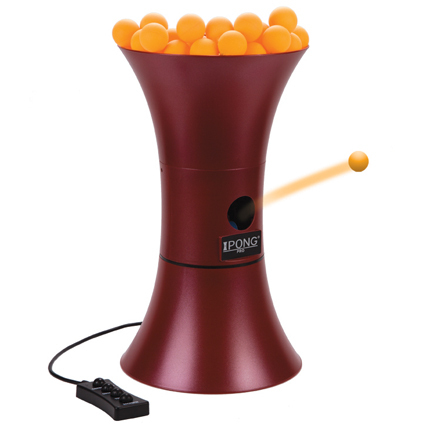 Shoot more than 100 balls before reloading. Easy assembly allows you to play within minutes of opening the box! 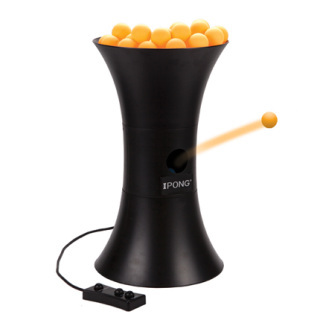 • FREE shipping within Continental U.S.
iPong is the affordable, portable table tennis practice partner that plays with you tirelessly. 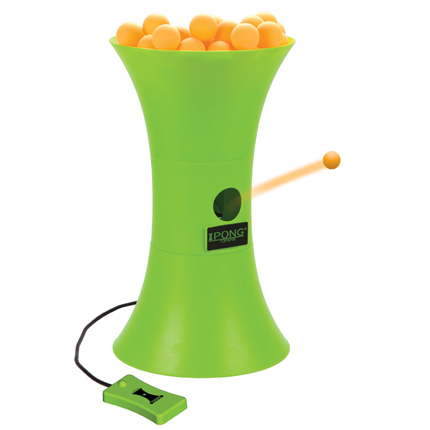 Set your own pace, from a casual to blistering ball-feed and continuously shoot more than 100 balls before reloading. Easy assembly allows you to play within minutes of opening the box! Ideal for beginners and anyone looking to hit against a consistent shot, the iPong Topspin shoots customized topspin balls so that you can master your table tennis skills. 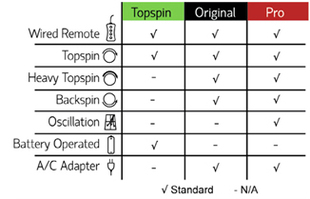 Wired remote control allows for your desired spin. This compact machine is can continuously shoot more than 100 table tennis balls before reloading. Easy assembly allows you to play within minutes of opening the box!